As a first screen for new business opportunities, particularly the tech-kind, my non-tech business partner devised three simple questions to ask our potential partners: 1) is it doable, 2) is it scalable and 3) is it fun? No surprises that the passion of the average entrepreneur will get them over the first hurdle question and hopefully the last. But question 2 is a much more difficult question. Australia with less than 2% global GDP does NOT lend itself readily to scale. Our markets are way too small to scale to any reasonable size to meet the multiples demanded by investors. To scale you have to go global but where: China, Asia, Middle East, Europe, North America? A recent factoid from howmuch.com, based on data from Forbes, seems to answer that question. 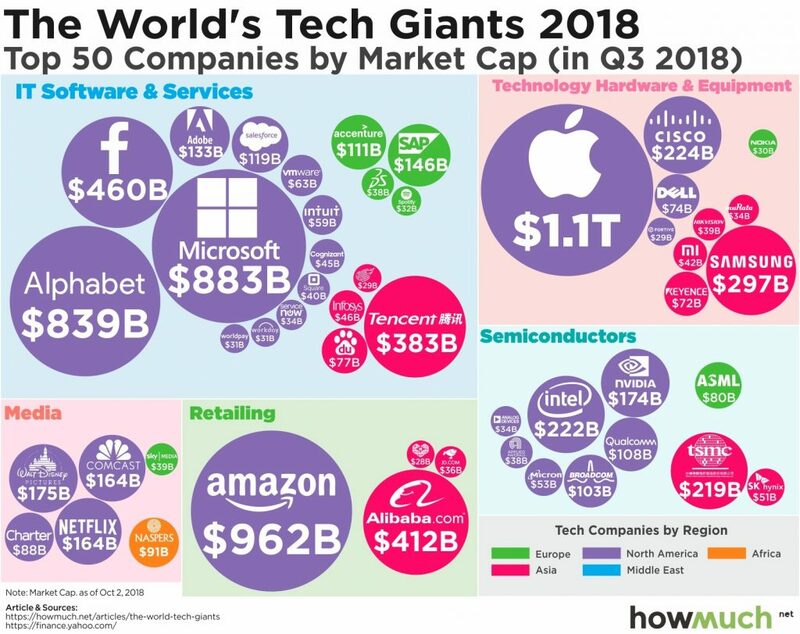 The chart shows that for the vast majority of tech based opportunities, the USA is the key place to go global. Not only are the MAJORITY of the major players located there but more over, the supporting networks, infrastructure, talent — and partners are there too! Did I mention money as well?? Several years ago, the average deal needed about $55M to get to serious scale: $5M to create the product line and $50M to build the marketing and distribution systems. Perhaps today’s SaaS models may reduce the $50M for IT services opportunities but it’s still a significant chunk of change to raise AND it takes a bunch of TIME. Sharing the potential spoils with partners in the CORRECT global market can accelerate the path to market — and provide a potential exit strategy as well — for entrepreneurs and investors. So to answer the question: “Is it scalable”, best to start with the end firmly in front of mind!